SoftSol delivers products and solutions that empower organizations toward greater efficiency, innovation, compliance, and cost savings. 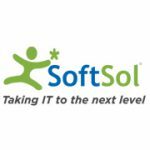 Based in California’s Silicon Valley since 1993, SoftSol has been a driver in the evolution of IT through Web and SOA to collaboration and cloud. SoftSol has maintained a debt-free operation while assisting organizations like Department of Defense, Genentech, CalPERs, Cisco, Superior Court of California, and HBO toward leadership in their respective industries. Fresher MBA Finance / B Com Graduate – 2017 / 2018 Batch.